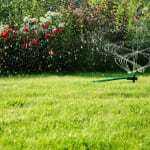 Irrigation Services, Lakeland | The Other Side Pest Control Inc. Irrigation Services, Lakeland | The Other Side Pest Control Inc.
A lush lawn can drastically improve the property value of your Lakeland, FL home, so our irrigation services are always worthwhile. Lawn maintenance is crucial in keeping your grass looking green and lush. If you use chemical treatments on your lawn, but you don’t know how to use them properly, it can cause burns or other issues that will kill the grass. Another key component in lawn maintenance is keeping it watered regularly, since without proper hydration, the grass will not survive. 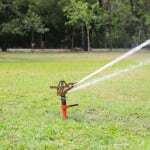 At The Other Side Lawn & Ornamental Pest Control Inc., we offer irrigation services to those within our service area of Lakeland, Florida. We have experienced and knowledgeable technicians who can design irrigation systems that will keep your lawn hydrated properly. When our experts come to your property to analyze for irrigation services, we will also perform analysis of the lawn to figure out what the best options will be to prevent dry or dead areas. We want to make sure that when you use our irrigation services, you feel satisfied with the experience. Our team will also answer any questions you might have about the process and how to make sure the grass stays fresh and green. A lush lawn can drastically improve the property value of your home, so our irrigation services are always worthwhile. 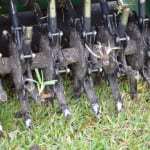 Our owner has been in the industry for nearly 20 years, so he has a lot of experience with lawn care and pest control. We are also a family-owned and operated company, and we believe in giving back to our community. Our team takes great pride in offering honest and fair pricing on irrigation services for Lakeland homeowners. 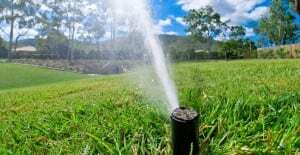 At The Other Side Lawn & Ornamental Pest Control Inc., we offer irrigation services in Lakeland, Auburndale, Bartow, Plant City, Winter Haven, Davenport, Lake Wales, Brandon, Polk City, Highland City, Crystal Lake, Eaton Park, and Winston, Florida.